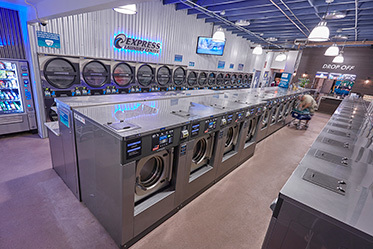 Entrenched in the development of highly successful vended laundries and Express Laundry Centers® for many years, CG West brings expertise and unrivaled support to vended laundry owners and business partners. We offer full-store solutions, including site selection, demographic studies, proformas, laundry design, equipment mix, marketing support, financing and operational training. Gain ideas for your own vended laundry development or renovation through the store tours and case studies featured here. Please contact us today with your business ideas!